l mission, yet, in the end, it becomes a question of whether the effort makes sense from a business perspective. The answer lies in changing the conversation. We need to stop talking about “telemedicine” and “telehealth” as if they were ends in themselves, and begin talking about the broader opportunities of collaborative care that the technology brings. Recent federal mandates such as the Affordable Care Act are driving new models of reimbursement and accountability through shared risk — for the first time, the business of health care is being asked for guarantees. For example, congestive heart failure is the first diagnostic code requiring an outcome: a 30-day period of no readmission results in standard reimbursement. This payer/provider outcomes-based trend is certain to expand to other diagnoses and diseases. 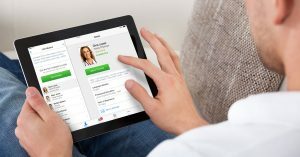 Shared risk and team-based assessments are the new reality, and connected care — that is, telemedicine — is an essential business tool, because in the changing health care climate, telemedicine can help improve care and reduce costs. 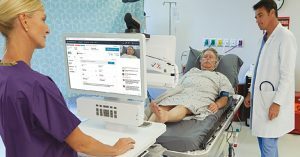 Since about 2010, improved hardware and software and more widely available bandwidth have contributed to a marked reduction in costs for telemedicine. Still, rules and regulations regarding reimbursement for telemedicine are in flux, and the American Telemedicine Association has played an active role in updating the changing landscape. 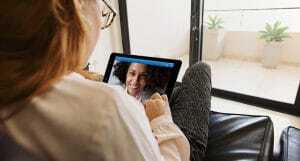 Many states — but not all — have passed parity legislation requiring private insurers to pay for telemedicine visits at the same rates as in-person care.